It is said that King George V’s Dent watch struck 11 just as the Great War ended. And of course Remembrance Day is always observed at 11:11 with two minutes silence. 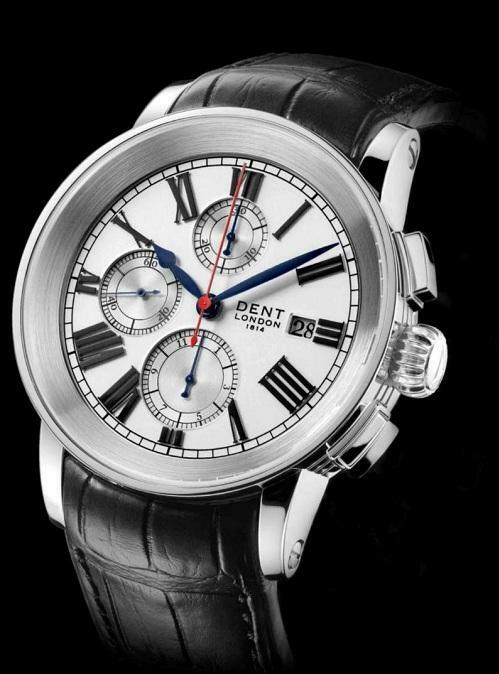 The Dent Ministry Evolution chronograph is a limited edition stainless steel watch with a 43mm hardened case, water resistant to 100 metres. Nobly proportioned, with a classic circular based design, the watch is modelled on Dent chronometer no. 633 which was taken aboard the H.M.S. Beagle in 1831 to accompany Charles Darwin on the voyages around the world that lead to his revolutionary publication on the theory of evolution - “The Origin of the Species”. The watch is powered by a Dent calibre 301 automatic chronograph, based on the reliable Valjoux 7750. 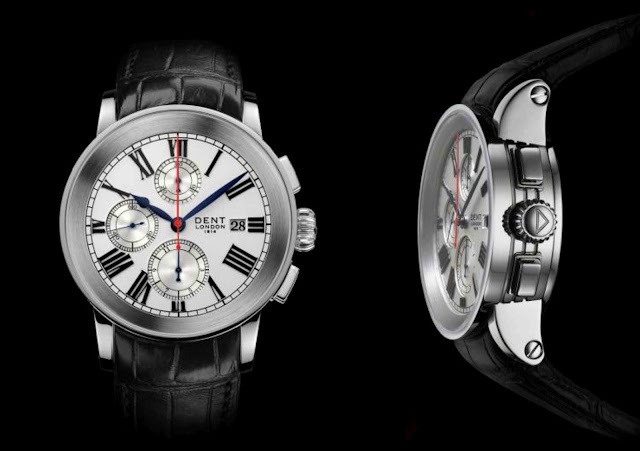 The silvered dial features Roman numerals, hour, minute, seconds, 30 minute & 12 hour recorder and date. The watch comes on a black, hand stitched, rolled edge, double sided Alligator strap with high grade stainless steel buckle. Of course, Dent history is almost as illustrious as that of the British Empire itself. One of the oldest watch and clockmakers in the world, Dent built the world's most famous clock in the Palace of Westminster, commonly referred to as Big Ben. The company held the commission to service Big Ben, the clock it created in 1854, right up until 1971. Dent was also commissioned to produce the platform clock for St Pancras International Station as part of its £800 million restoration. It was installed in November 2007 and unveiled by Her Majesty Queen Elizabeth II and the Duke of Edinburgh. The Ministry Evolution chrongraph will be limited to just 250 pieces worldwide and will cost £4,895, enough to put a 'dnet' in your pocket if not on your wrist. However, there’s a waiting list for all Dent watches so if you want a little piece of British history on a strap, the best you can do is get your order in now.